We deliver excellent events and inspire everlasting connections! On behalf of The Bell Tower on 34th we wanted to reach out to everyone to make sure you are safe. 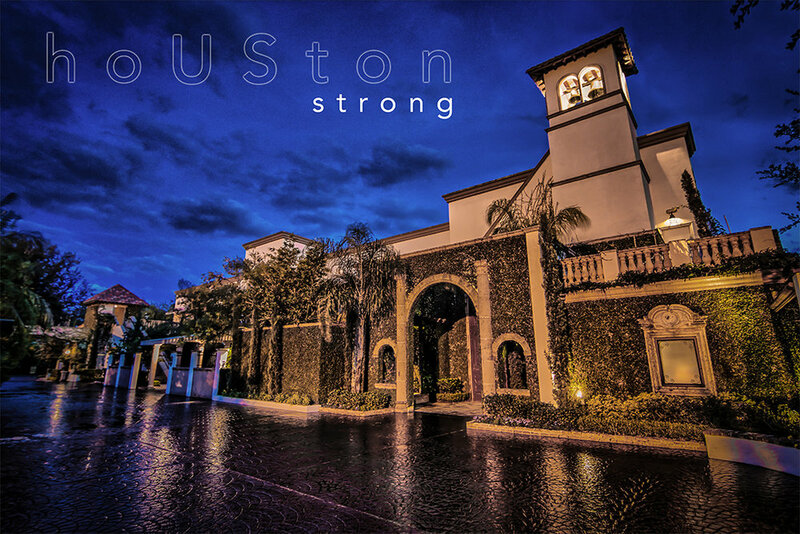 We are so saddened to see how many people have been effected by Hurricane Harvey and we want you to know that we care about all of our clients and we sincerely hope that you, your family, and friends are doing ok.
Thankfully, The Bell Tower on 34th did not incur any damage and we areready for your events. We are also opening our doors to any displaced brides who are in need of a venue. If you know anyone who may need a new location for their event due to the storms, please direct them to us and we will do our best to help. As always, we would like to strongly encourage all of our clients to purchase event cancellation/postponement insurance. We feel so strongly about the protection this insurance provides that we even reimburse your master account for the purchase of this insurance up to $400.00. There are several places this can be purchased, let us know if you need help finding it. Again, please know that our team is here for you and let us know if there is anything we can do to help during these hard times. If you would like to donate to help Houston recover from Harvey you can click the links below, donate needed supplies to shelters or volunteer at a local shelter.